I promised myself I’d knit more mindfully this year. I want to really see something for my efforts this winter ya know? Well. Today’s Yarn Harlot post has me feeling nervous. Not a good sign. 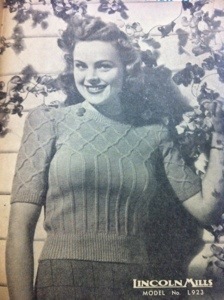 But perhaps it is better that I work through my doubts now rather than after many more hours knitting. This is supposed to be a mindfully knitted project after all. Some of my concerns I’ll hash out below. I am going to be doing some measuring, by the looks of it. 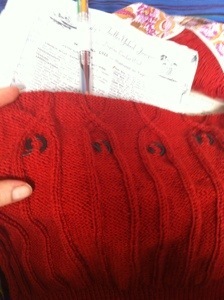 Is it OK that I have been knitting to my actual measurements rather than with some ease? Maybe not. After I realised I had done it, I told myself I like ‘em fitted and this will ensure the cables don’t sit all contracted. Well, I DO like ‘em fitted, that is true. I just do not know if zero ease is the best thing for this project, I guess I need to do some research on that. 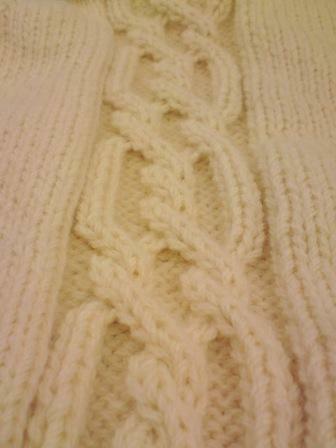 I am not sure I even know how much ease this pattern is written for. Oh wait, there is a schematic in the pattern, so I will be able to figure it out. Good, that is a start. When I tried this on (as best I could though there is only a back piece and I was alone at the time) it seemed to run short. Yes, I did cut out many inches from the pattern length. On purpose too. But I am very very very short-waisted, so much so that you just about cannot imagine. Still, I was aiming for hip length and don’t seem to be getting there, not quite. And yes, before you ask, I DID swatch and I did measure myself correctly. So I think the problem could lie perhaps in my ‘hip length’ idea. I have thought about it since, and what I really want is a length that will cover the top of my jeans well even when I am seated. Probably I need my cardi to do more than just reach my hip point. This, I think, also requires a further investigation. These seem like very reasonable concerns now I have put them out there. I believe I was trying to quash them before. 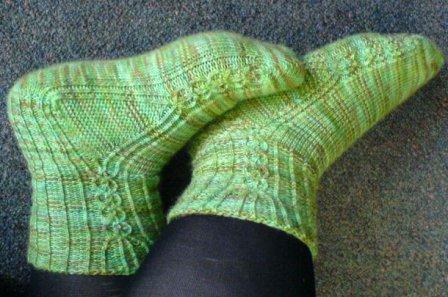 And you know what else, I think this is the real reason I have stalled on cast-ing on for the two front pieces. Yup, the whole project has lain dormant in my project bag for about 2 weeks. 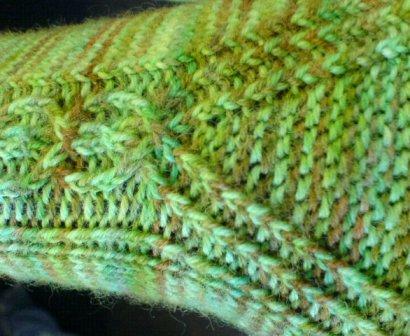 I have been distracting myself with knitting baby socks, lots of them (I’ll show ’em off at a later date). I know 2 weeks is not a huge stall, as far as these things go, but it was nagging at me. Why did I keep putting it off when I had sailed through the first piece? Sure, it was a tad tricky but I did it quickly and enjoyed it. Hmmmm, I think I know now. I had a hidden fear of my continuing being a waste of time, but could not know for sure with the unacknowledged issues unaddressed. Well, I feel a bit better. 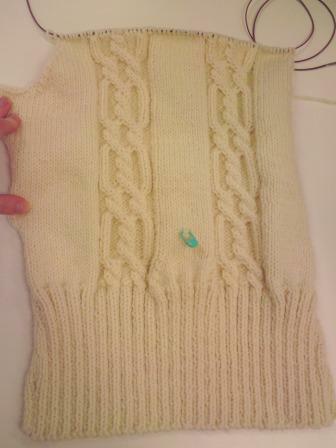 But I am no closer to finishing a cardigan that fits, I may even be further. I’ll have to get back to you on this one.